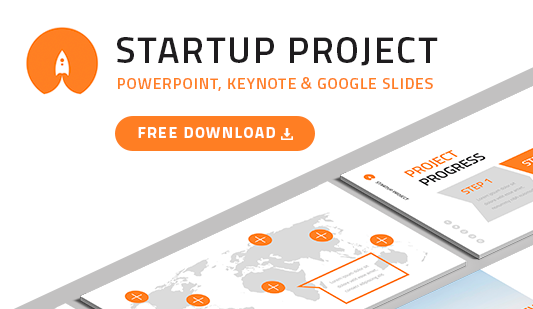 Sales funnel template Google slides - Hislide.io - Free Download Now! 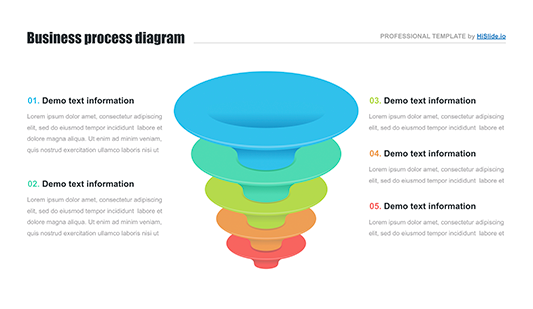 This sales funnel template forGoogle Slides includes a horizontal element divided into five parts. The funnel is multicolored. Below the element, text blocks are placed. Clearly structure a speech and a presentation. 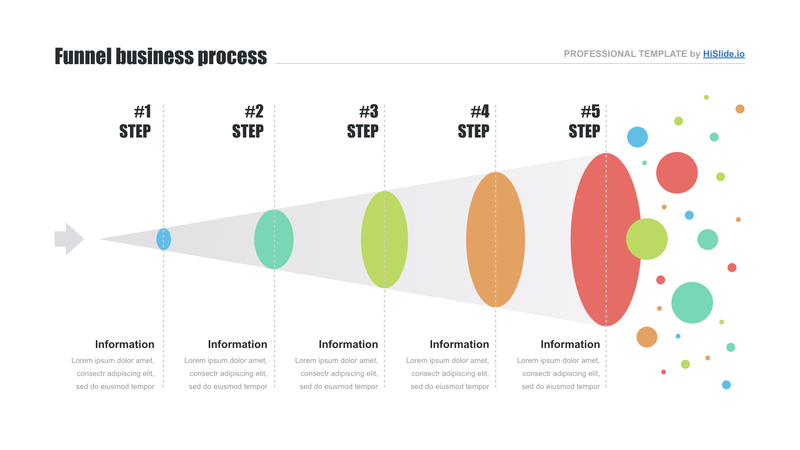 The funnel infographic template will be a necessary tool for every user who often prepares presentations (reports and analyses) and delivers speeches at meetings. High quality. Even high-resolution screens are not an obstacle to high-quality elements displayed on our site. We guarantee that this project funnel template won’t look blurred or have visible defects. Speakers demonstrate professional unique presentations based on our slides. Free download. Customers can download the sales funnel management template for free. It is enough to be a registered user. Just download the funnel and use the slide at work. Multipurpose slide. The sales funnel is a purely marketing tool. The element is used for either reports and analyses or business projects and startups. 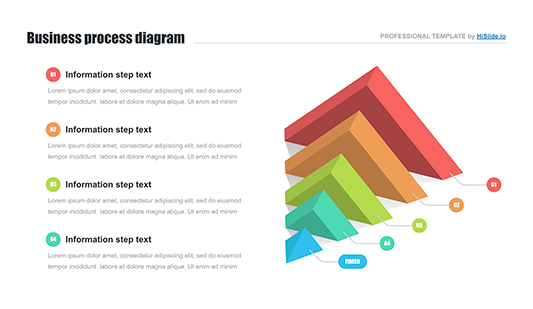 Premade easy-to-use diagram The sales funnel template for Google Slides is a ready-made assistant for office employees. The funnel helps to create analyses and reports in a few minutes and work efficiently.